Is your child about to start school for the first time? Or are they returning to school and about to begin a new school year? Many parents feel worried about how their children will cope academically and socially in the school environment, particularly if they have a child with speech, language and communication needs. 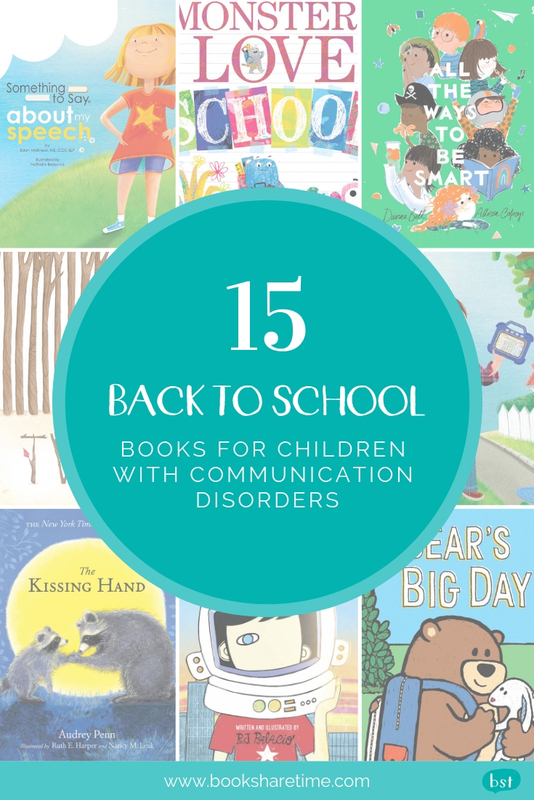 Children with communication disorders can have trouble accessing the school curriculum due to their difficulties understanding language and expressing themselves. They may also struggle with reading and writing tasks. Although it can be tough, school is very important for your child’s development as they will be exposed to many different types of learning areas, and many schools employ professionals who can help your child in the areas they are finding difficult. Picture books can be great for putting your child’s mind at ease about the aspects of school they might be feeling anxious about as it uses child-friendly language with pictures to support their understanding. For some children, school can be an entirely different environment to what they’re used to. Worries and fears about going to school can stem from children being unsure of what to expect in this new and unfamiliar environment. The following two books are excellent choices if your child is uncertain about the types of things they will be doing at school. Children will easily relate to the different feelings and worries the characters are experiencing about starting school. These stories can be a springboard for discussion with your child about starting school. You could ask questions, such as: Are you worried about anything? What kinds of fun things will you do there? Why is it important for you to go to school? Summer is over and the time has come for the cute and colourful monsters to get ready for school. All the monsters are excited, but little Blue is feeling worried. He has so many questions about school, like “What if I get hungry? When do we eat? What if no one likes me?” and ”What’s school for anyway?”. The story continues with the school principal and teachers showing the monsters all the wonderful things they will do and learn at school. 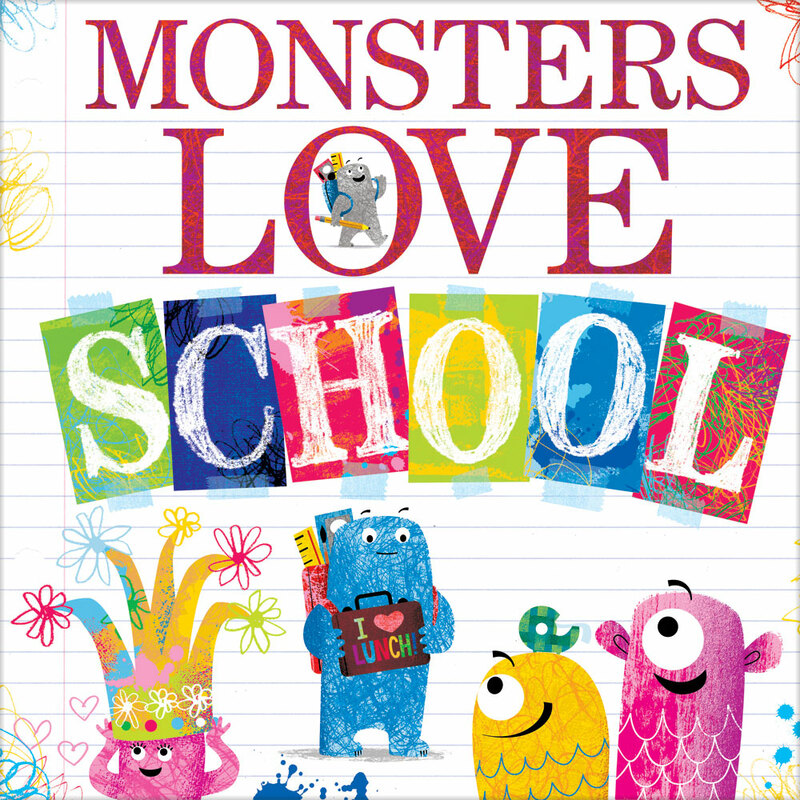 The monsters have so much fun that, when it’s time to go home, Blue loudly shouts “I LOVE MONSTER SCHOOL!”. Lola is nearly big enough to start school, but she’s not sure she really needs to go. Her big brother, Charlie, tries to convince her by telling her about all the fun things she will learn like counting, reading and writing. But Lola has clever excuses for all these reasons. After all, why would she need to count higher than ten if she will never eat more than ten cookies? The ever-patient Charlie eventually manages to persuade Lola that school is worth going to. This charming story and Lola’s amusing excuses will undoubtedly resonate with children who are anxious about starting school. 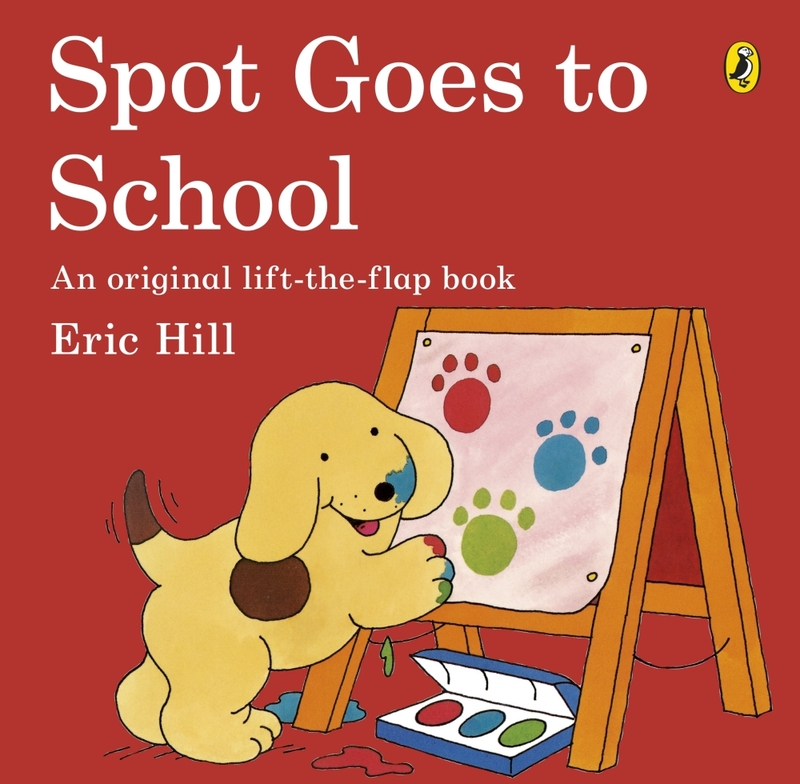 Follow Spot as he attends his first day of school. Spot does lots of different activities throughout the day. Some activities are familiar, like painting and playing in the playground. Some activities are new and a little bit overwhelming, like taking part in music class. But overall, Spot really enjoys his first day of school. Unlike the two books mentioned above, Spot does not verbally express his worries about going to school. But this book is an excellent option for children who may need a shorter and more interactive (lift-the-flap) text about starting school. Children with speech, language and communication needs can often find schoolwork very difficult. The following two books are great for reminding children that they may not be able to do everything when they first start school, but with enough practice and hard work they can achieve great things. It's Bear's very first day of school, and he feels like a big boy! He cuts his pancakes all by himself and decides to leave his best friend, Floppy the stuffed bunny, at home. But when he gets to school, he has trouble coping and can’t seem to join in with the other kids. He misses Floppy too much! Bear soon learns that it’s okay to ask for help at school and that some days might not always turn out the way we thought they would. 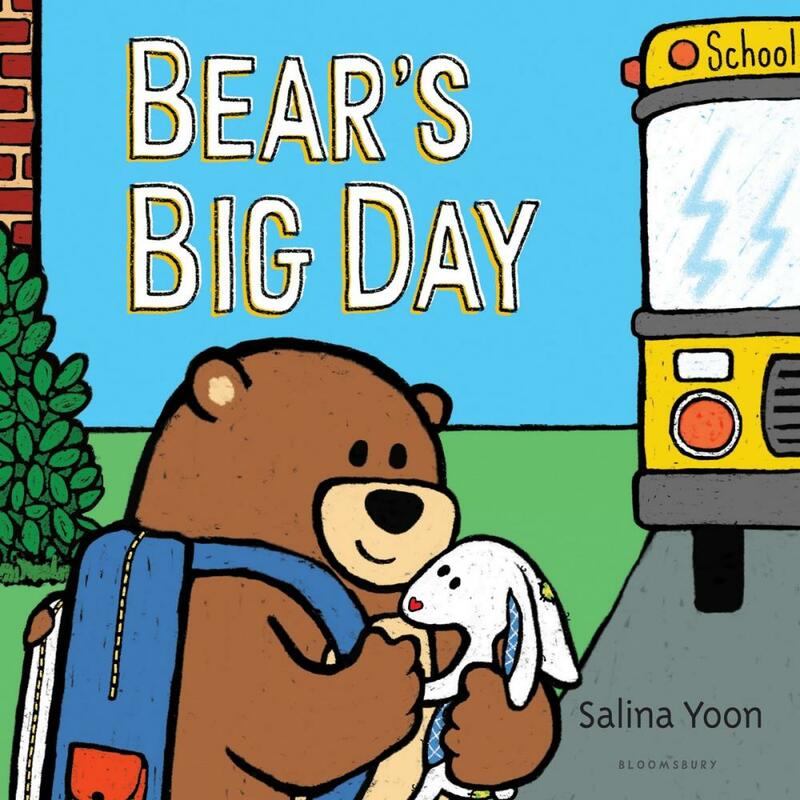 Bear’s Big Day is a beautifully illustrated book with a few short sentences on each page. 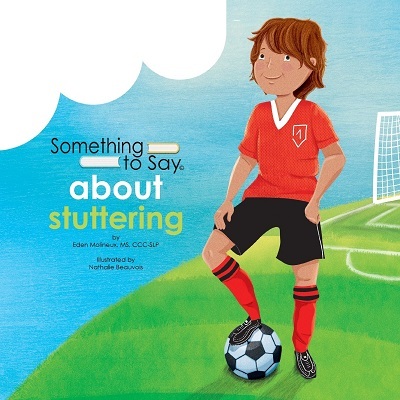 A fantastic choice for young children and children with comprehension difficulties. Mr Fish recounts his first day of school. 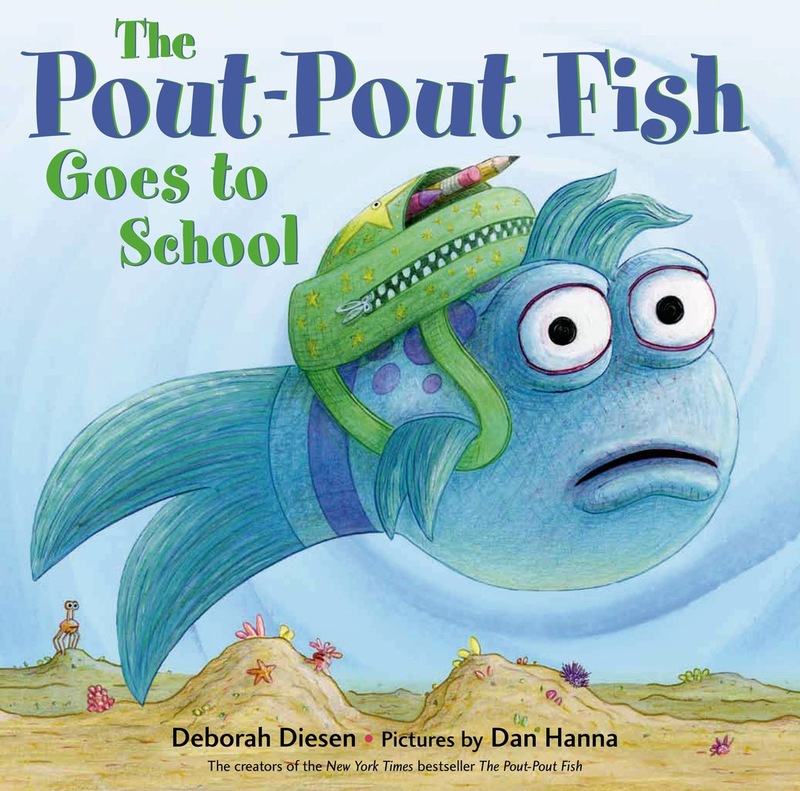 When he first got to school, all the fish seemed to know exactly where to go, but Mr Fish felt a bit lost. He goes into writing, art and math classes, but he just can’t seem to do the work as well as the other little fish. Mr Fish feels very disappointed and wants to go home. But this all changes when his new teacher takes him into the right classroom for his abilities. Mr Fish soon realises that he has lots of strengths. A repetitive poem emphasises this throughout the book: You are smart, you can get it, you belong, so don’t forget it! A positive message that is important for all children to hear, but especially children with additional needs. Children with speech, language and communication needs may be very aware that they’re a bit different from their peers and can become anxious about these differences; particularly if they're experiencing comments or teasing from other children about their communication difficulties. The following three books all take a slightly different approach to convey the all-important message that no one is perfect and everyone has their own unique qualities that make them very special. 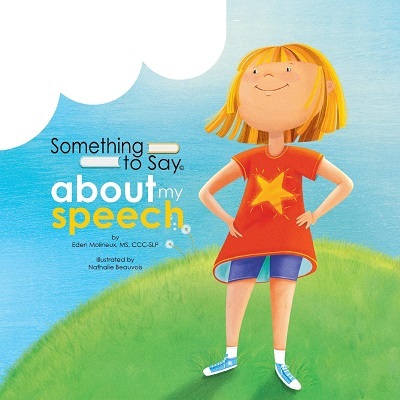 The Something to Say books follow three different characters as they talk about their communication disorders and helpful strategies for managing their difficulties. All three stories begin with the characters introducing themselves and talking about their interests. This is a lovely way to introduce the characters as it makes them relatable and conveys the message that children with communication difficulties have got many of the same interests as other kids. 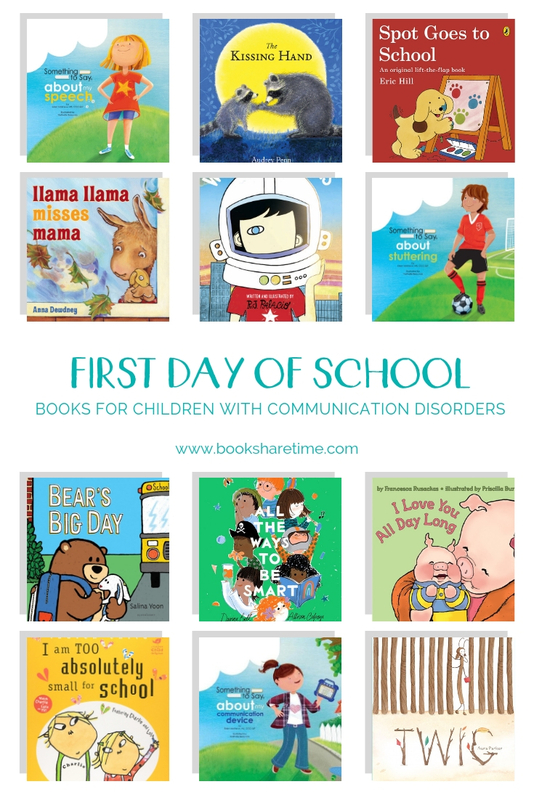 These books are great to share with your child to ease the anxiety they may experience about their communication difficulties at school and provide some timely reminders about the strategies they can use to help them throughout the day. 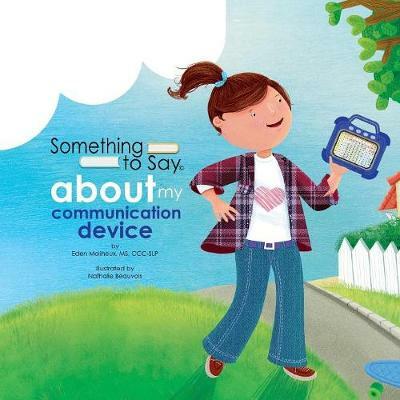 It’s also an ideal resource to share with your child’s classroom teacher as a way of raising awareness of communication disorders in the classroom and beginning a discussion about the strategies that would facilitate communication with a child who is having difficulty talking. 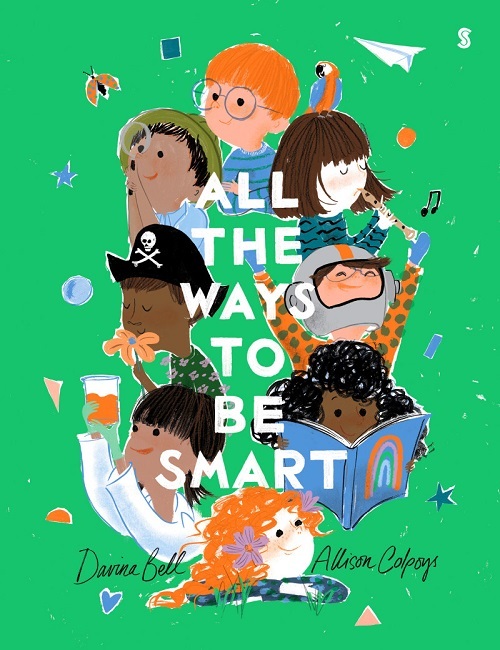 This heart-warming book uses joyful rhyming and charming illustrations to celebrate the many different ways children can ‘be smart’, including empathy, creativity, imagination and courage. All the Ways to be Smart will nurture children’s confidence while reminding them that everyone is unique in their own special way and to embrace their personal strengths. It is a truly beautiful book with much to explore and discuss on each page. Highly recommend this one! 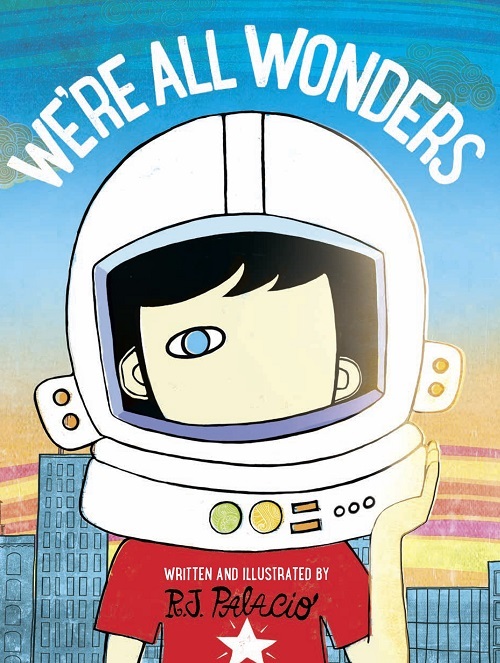 This book is the abbreviated picture book version of ‘Wonder’ about a boy with facial deformities who is told he is a wonder by his family, but he’s aware that others treat him differently. Kids sometimes point and stare at him, he hears the unkind things they say behind his back, and it hurts his feelings. When this happens, he escapes into an imaginary world in space. This escape allows him to reflect that the world is big enough for all kinds of people and that he can’t change the way he looks, but maybe people can change the way they see… we’re all wonders. This book has a beautiful message that will resonate with little ones who feel that they do not always fit in with their peers. Even though many children with speech, language and communication needs want to join in play with others at school and form friendships, it is often very challenging for them because of the communication difficulties they experience. The following two books touch on themes of social anxiety and social isolation respectively. They can both be used to start discussions about strategies for making and keeping friends. It’s Oscar’s first day of school, and he’s a bit nervous about making new friends, especially since his first interaction is with a freckled boy who is scary and mean. Oscar tries hard to be brave, but instead, he goes and hides in the cubby. 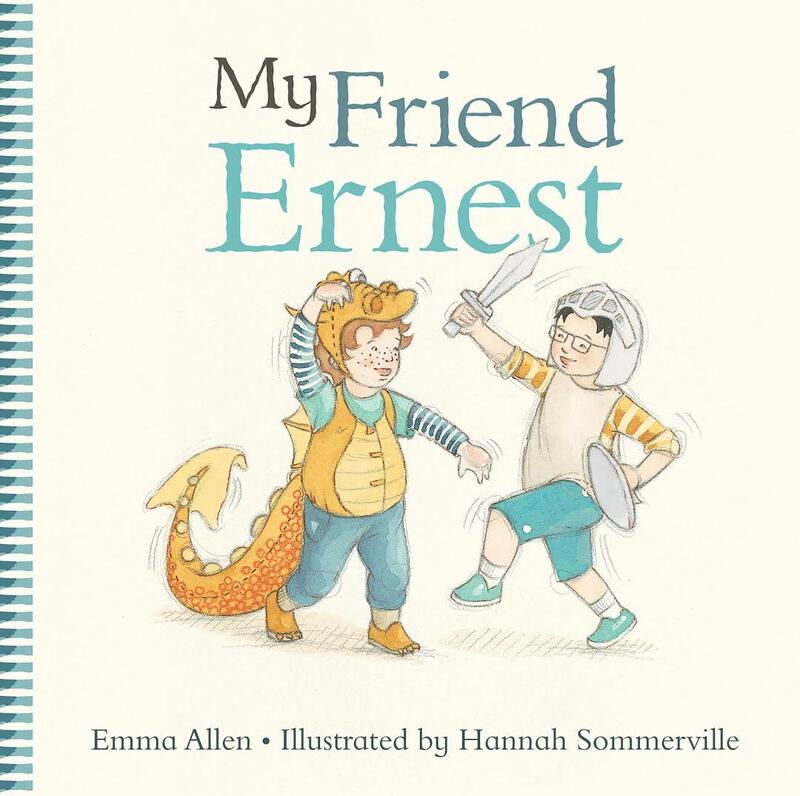 It is here that Oscar discovers the freckled boy is not so mean after all, and only wants to be friends. This is an ideal book to share with your child if they’re experiencing anxiety around making new friends at school. The story can serve as an excellent springboard for discussion around the different ways other children may show they want to play; it can sometimes appear a bit mean, but maybe they just don’t know how to join in nicely? It’s the first day of Bug School and Heidi, the stick insect, has a problem. No one talks to her, and no one plays with her at lunch. In fact, no one notices her at all! Heidi is tall and thin, just like the twig of a tree and she must be must be blending in a little too well with the branches at school. She finally decides to speak up for herself and for the first time everyone sees her! She soon makes friends, and they choose to make her a colourful scarf so that she won’t go unnoticed again. Children with communication difficulties can sometimes experience social isolation because it may be hard for them to express themselves or others don’t always understand them. 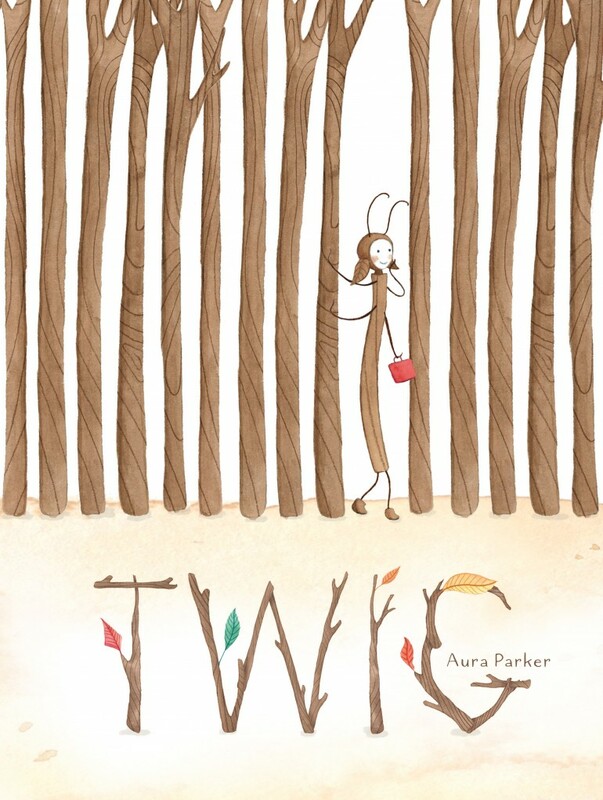 Twig beautifully captures these feelings of isolation and translates them into an uplifting story. Separation anxiety is something nearly all children experience to some extent when starting school. Children with speech, language and communication needs sometimes require a little extra help to understand the situation and know that their mum or dad will always come back to pick them up. 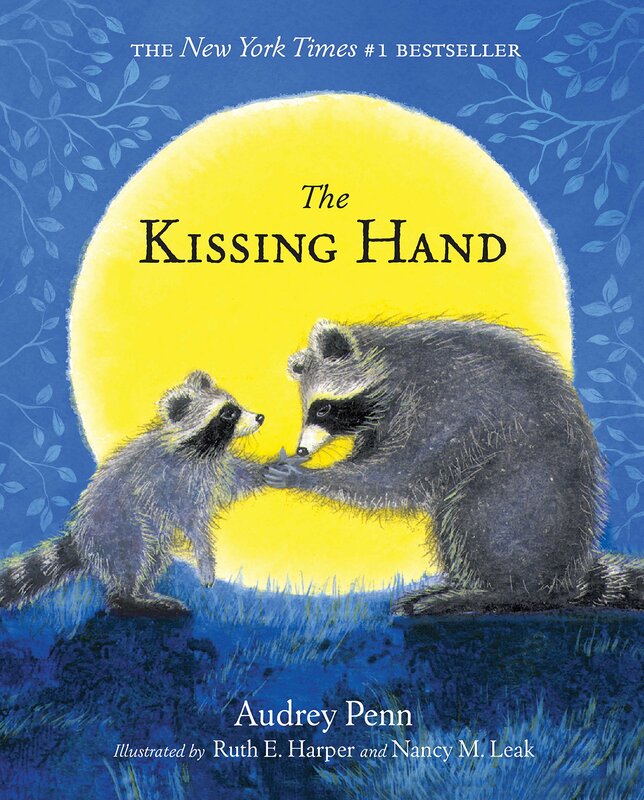 The following books combine engaging illustrations and short, simple sentences to provide reassurance to children having difficulties separating from their parents at school. 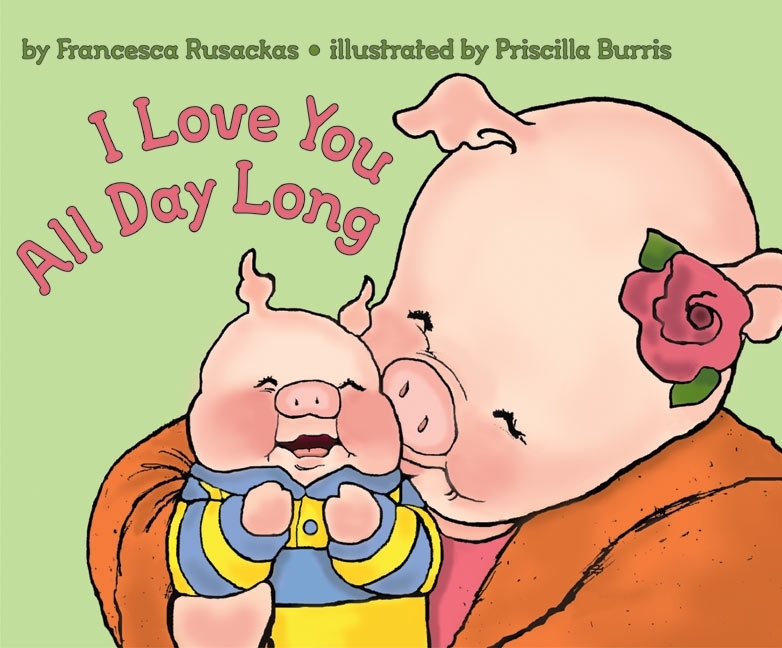 When a little pig worries about going to school for the day, his mother reassures him that she loves him all day long, whether they are together or apart. She talks through different scenarios that might happen during the day and assures him that she will love him regardless. These scenarios span from arriving in the morning and making new friends, to accidents (like tripping on shoelaces) and mistakes (like spilling juice). This heartwarming story is sure to comfort little ones who are feeling anxious about being away from mum and dad for a whole day. It’s Llama Llama’s first day of school. 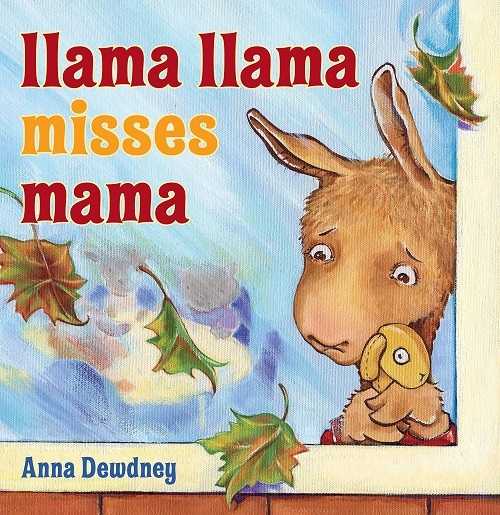 Llama Llama’s mama helps him to get ready, and she takes him to school. But when it’s time for Mama to leave, Llama Llama starts to feel overwhelmed. “Strange new teacher, strange new toys, lots of kids and lots of noise.” Llama does not want to join in with the activities at school or play with the other kids. He misses his mama too much to have fun at school. After his teacher assures him that Mama will come at the end of the school day, Llama Llama starts to feel better. He soon realises that he loves his mama, but he loves school too. This is a classic first-day-of-school book. Chester Raccoon is nervous about going to school for the first time. In an attempt to comfort Chester, his mother tells him about all the new things he will be able to do at school. She also shares a secret with him called the Kissing Hand. She kisses his palm, closes his hand and tells him that "whenever you feel lonely and need a little loving from home, just press your hand to your cheek and think, 'Mommy loves you’.” Chester goes to school knowing that his mother’s love is with him wherever he goes. 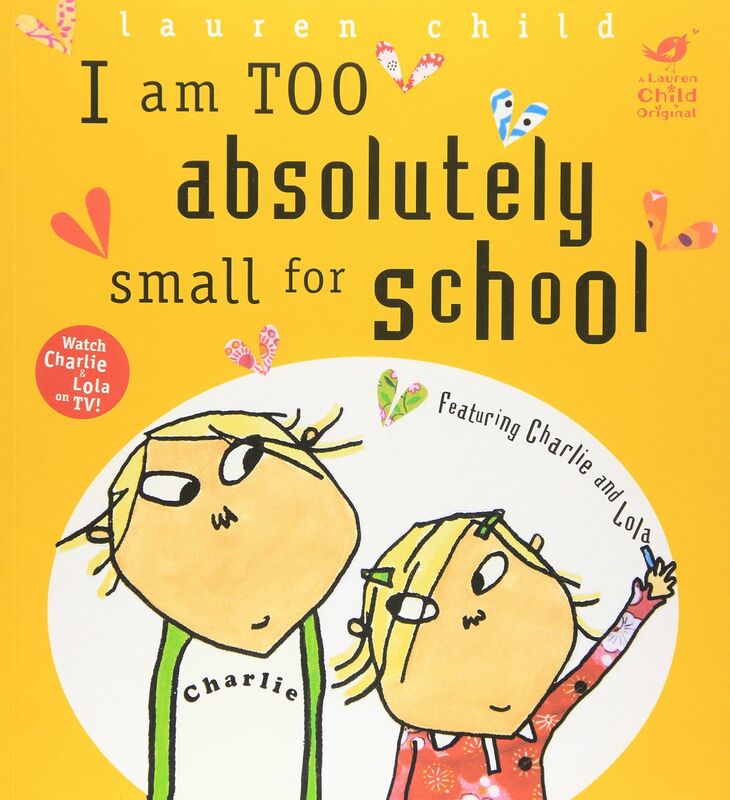 Click here for more books about school.